What does “Going Electronic” mean for company culture? You are here: Home / Blog / What does “Going Electronic” mean for company culture? As the year comes to a close, many HR analysts are making their predictions for the hottest trends of 2019. A current trend we’re already seeing is the increasing digitalization of HR. More and more companies are turning to online platforms and computer programs to manage recruitment, training, reporting, and record-keeping. 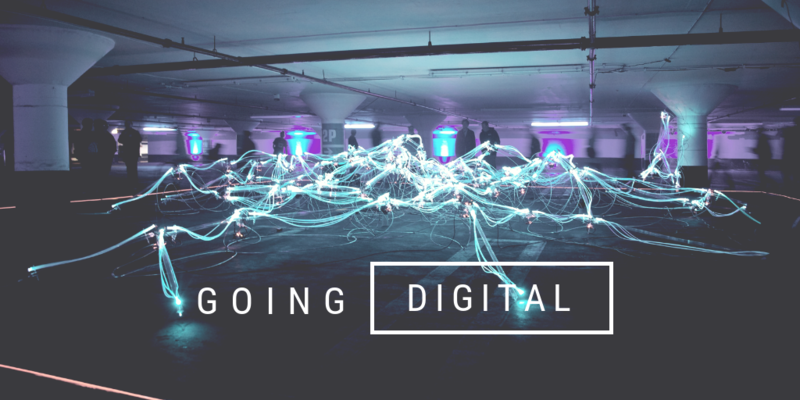 You may not even have thought about all the ways that your HR is turning digital: online applications and recruitment ads, filing your I-9s through e-verify, and storing personnel files on a remote server. There are benefits to going digital. In some cases, it can lower costs, help maintain consistency, and track detailed information. Apps for recruiting, training, or marketing can often reach a wider audience than we could through paper media or face to face. At Executive Advantage, we’ve been working on a new HR training program that allows businesses and employees to access training online. Some of the reasons we’ve decided to offer online courses is we wanted our expertise in HR to be available to smaller businesses who might not have a full-time HR person, on-demand courses can be taken according to the business’s schedule, and no travel to a separate location or venue is necessary. Developing online training courses, though, has also made us more aware of how important it is that a business be intentionally investing time and energy into their company culture. A digital culture values efficiency, cost-effectiveness, and accessibility. How can we take advantage of the benefits of technology without sacrificing a company culture that values connectedness and face-to-face interaction? In short, we have to be intentional. Going digital brings with it all kinds of advantages, but business owners and managers still have to envision and model the kind of company culture they want. Here are some specific ways that you can encourage a company culture of teamwork and inter-connectedness in spite of, or perhaps even through, the use of technology. Consider integrating online training with face-to-face learning. While online training lets you get the basics out of the way pretty quickly, make sure to back up all training with face to face interaction with supervisors, your HR person, and other key personnel. Use the time you’ve saved by going digital to invest time in more advanced training or job-specific professional development. Often, more advanced or specialized training may be more effective in person. Owners and managers should make an intentional effort to interact with employees on a regular basis. Use face to face time to encourage professional development, brainstorm ideas for new projects, or get employee feedback on processes. Never fully rely on technology to manage! Remember: Most employees leave a job because of a poor relationship with their manager. Technology can remove some of the tedium of a job by making things more efficient, but relying on technology to manage employee performance will leave your employees feeling even more disconnected and less invested in their work than they are already. It’s also a supervisor’s responsibility to be on the look-out for things like workplace harassment and safety violations. If they’re relying on electronic reports to tell them how employees are doing, they’re going to miss critical pieces of information, such as morale. Use technology to your advantage for teaming! Allow ambitious employees to use online training to learn new programs and then let them be responsible for training others. Keep employees’ confidential information secure. As a company, it’s important to promote a culture of confidentiality and keeping employee information safe. Whatever technology you use, you should ensure that it does not compromise confidential employee or company information. Legally confidential documents should never be stored online without appropriate safeguards (e.g., Form I-9, worker’s comp information, documents related to workplace harassment). Make sure you’re accessing good HR assistance, legal assistance, and IT assistance to assist with the confidentiality policies, remoting policies and procedures and your security needs.